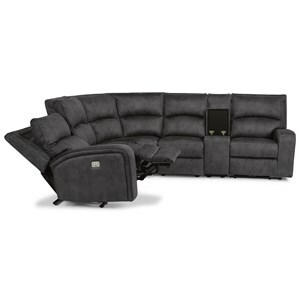 Get the ultimate movie and game experience in the Three Piece Sectional. 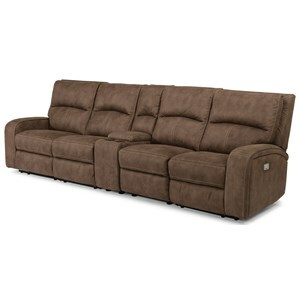 Made for comfort, the sectional gives each person their own seat allowing you to recline back and kick your feet up. 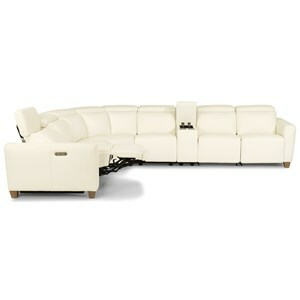 The sectional features cupholders in each arm giving everyone a spot to store their drink. 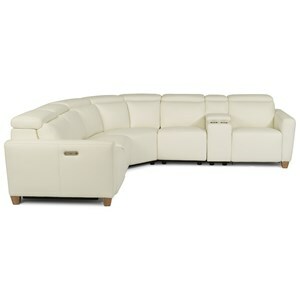 The padded headrest and chaise-like ottoman makes the each chair the best seat in the house. Let the recliners do the work for you with the power recliner. 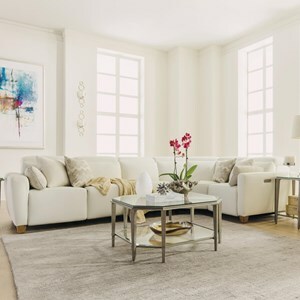 The Elite Three Seat Curved Power Reclining Sectional by Palliser at Reeds Furniture in the Los Angeles, Thousand Oaks, Simi Valley, Agoura Hills, Woodland Hills, California area. Product availability may vary. Contact us for the most current availability on this product. 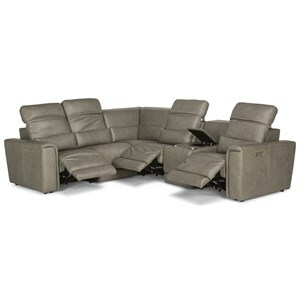 41952-3E Right Hand Facing Arm Recliner 1 30" 39" 44"
41952-5E Left Hand Facing Arm w/ Right Hand Facing Wedge 1 41" 39" 44"
41952-7E Right Hand Facing Wedge Recliner 1 36" 39" 44"